Today (March 2, 2013) is the 109th Birthday of the late Theodor Seuss Geisel, better known as Dr. Suess. Geisel was an American writer, poet, and cartoonist who published 46 children’s books, which were often characterized by imaginative characters, rhyme, and frequent use of anapestic meter.Although he received numerous awards throughout his career, Geisel won neither the Caldecott Medal nor the Newbery Medal, however, Dr. Seuss did win two Academy awards, two Emmy awards, a Peabody award, the Laura Ingalls Wilder Medal, and the Pulitzer Prize. In May 1954, Life magazine published a report on illiteracy among school children, which concluded that children were not learning to read because their books were boring. Accordingly, William Ellsworth Spaulding, the director of the education division at Houghton Mifflin who later became its Chairman, compiled a list of 348 words he felt were important for first-graders to recognize and asked Geisel to cut the list to 250 words and write a book using only those words. Spaulding challenged Geisel to “bring back a book children can’t put down.” Nine months later, Geisel, using 236 of the words given to him, completed The Cat in the Hat. It retained the drawing style, verse rhythms, and all the imaginative power of Geisel’s earlier works, but because of its simplified vocabulary, it could be read by beginning readers. The Cat in the Hat and subsequent books written for young children achieved significant international success and they remain very popular today. In 2009 Green Eggs and Ham sold 540,366 copies, The Cat in the Hat sold 452,258 copies, and One Fish Two Fish Red Fish Blue Fish (1960) sold 409,068 copies—outselling the majority of newly published children’s books. Below you’ll find my review of the Live On Stage version of Geisel’s most famous work, The Cat In The Hat. Welcome once again to the Friday Free For all for September 28, 2012. I know I missed Wednesday’s Wednesday With Will, but I’ll make it up I promise. Had some other things to take care of (like working on lines). Earlier this week I posted a story about the emergence and importance of children’s theater. One of the things it mentioned in that article was that Europe is leading the way in children’s theater, producing works for younger and younger audiences. Today I’m going to review a show that is the emodiement of this growing movement. 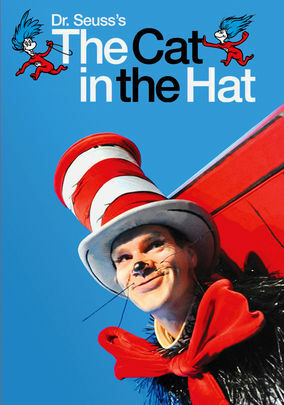 Dr Suess’s The Cat In The Hat: Live on Stage (I’m spelling it the way that it is listed on Netflix) is a 30 minute recorded live on stage at the National Theater in London. Directed by acclaimed director Katie Mitchell and starring Angus Wright as the titular Cat. This is how children’s theater SHOULD be. It’s energetic, kinetic, engaging to younger audiences, and true to its source material. And by true to its source material, I mean it is TRUE to Dr. Suess’ original book. One complaint about the live action Grinch and Cat in the Hat movies were that they packed more material into those movies then were in the original stories and deviated from the source material. This doesn’t. Every word that Theodore Geisel wrote is here and nary a word is added. The acting is top notch as well, as you can expect from London’s National Theater. The actor playing Sally and Sally’s brother do amazing work with almost no lines and Wright’s Cat brings a…well a danger to the role that was lacking in Mike Myers’ performance. But it’s Justin Salinger as the Fish that is a true delight. From his entrance with a bubble machine in one hand and a Fish puppet in the other, he adds complexity and simplicity to his performance. That could be said about this entire performance, from Vicki Mortimer’s stage design to Paul Clark’s jazzy score, everything is complex and yet simple. The set is simple (which appeals to my minimalist sensibilities) capturing the simple ink drawings of Dr. Suess but then the do the famous balancing scene from the book where The Cat balances on a ball along with The Fish in his bowl, a tea cup on his head, etc. I’m not sure how they did it but it’s amazing. The Cat In The Hat: Live On Stage is available instantly on Netflix.